Masonry repair and brickwork is not a DIY project. Brickwork only looks easy because it is a professional mason doing the work. Do not be fooled or foolish, New masonry construction poses plenty of challenges, but restoration work exponentially raises the degree of difficulty so do not be fooled into thinking it a do-it-yourself project. Your brickwork requires professional maintenance and repair. If you feel the first subtle hint of autumn in the air, make it a point to arrange for a professional home chimney inspection. By calling Aces Home Services, you are assured courteous and prompt attention. An Ace technician will come to your home and determine if any maintenance work or repairs are necessary for your chimney. Our home services technician will perform a thorough inspection of the structural aspects of the chimney masonry and various brick work around your property. Although you often find the chimney is the only remaining portion of a burned out structure. What you may not realize is that very same chimney gave rise to the fire in the first place. Even the best-built chimney, constructed with the finest bricks eventually will need maintenance or repair. As everything else fundamentally “natural”, bricks and mortar expand when they get hot and contract when they get cold. These building materials are made of dirt. Over the course of a decade or two, relentless and repeated cycles of freeze, thaw, and intermittent heat open-up bricks’ pores and cause tiny cracks in the mortar between bricks. Left unrepaired, the holes and cracks make your chimney vulnerable to the elements; and, when water seeps into your brickwork, it begins to decay and slowly disintegrate. Holes in your chimney and cracks in between bricks create opportunity for sparks to escape—especially if they are below your eaves, where the worst home fires take life. Beyond that particular point of instruction and knowledge, you must possess adequate levels of experience in materials handling and mixing, and your understanding of these products determines your readiness for brickwork. Particular knowledge of masonry required. Do-it-yourselfers beware. How many of the following questions do you readily know the answers? Do you know the differences among concrete, cement, plaster, and grout? Do you know what the rating numbers on the bags are supposed to tell you? Do you understand why you cannot use concrete for brickwork? Wander down to the end of the aisle and look at the stunning array of trowels. Who would use a ceramic trowel? Why does one trowel have a bent edge and another a sharp point. Even if you can answer all of these questions, you still have to ask yourself the critical question: Do you really know how to use all these products and tools? We urge you; do not attempt masonry project or chimney maintenance alone. You should hire a professional for such important projects so that your life and the lives of your loved ones are not compromised in the attempt to save a few dollars. Brickwork and masonry requires a good mix and a delicate touch. How difficult can it be to lay down a good course of bricks—flush, plumb, aligned, and square? In theory, it looks a lot like adding layers to a cake; in practice, masonry requires a precise eye, a steady hand, and great skill with a trowel, and the perfect balance of speed and precision. New masonry construction poses plenty of challenges, but restoration work exponentially raises the degree of difficulty. Matching the color, texture, and consistency of new mortar or grout with old is a brick mason must know his chemistry and proportions. Moreover, the trowel work requires the delicate touch of a surgeon because that sticky-sandy mix can make a terrible mess in hands of an amateur. How do we know this, why not try to Google for a definition of “tuck pointing” or look up the definition via an online dictionary? Have you found it yet? Likely your answer is no. Artisans in guilds pass down certain knowledge from apprentice to experienced meaning some answers printed in books tell you very little about the act of doing. For the record, “Tuck pointing, the term comes from the process of tucking mortar into the damaged mortar joint with the point of a trowel called a ‘pointing trowel.’ The point being, if you cannot define that term, even with research, how can you feel confident in your ability to entertain this type task as a home improvement project? Brickwork and masonry repair should be left to professionals. Especially in respect to a fireplace or chimney, such tasks demand delicate mortar work, which means concise mixing, sufficient knowledge and given expertise to have the strength and endurance to withstand years of elements and normal wear and tear just to get it average looking and functionally sound. When that same work is performed on a tired chimney or “distressed” brick wall, you leave room for error that can lead to a fire that might possibly take your life or that of a loved one. 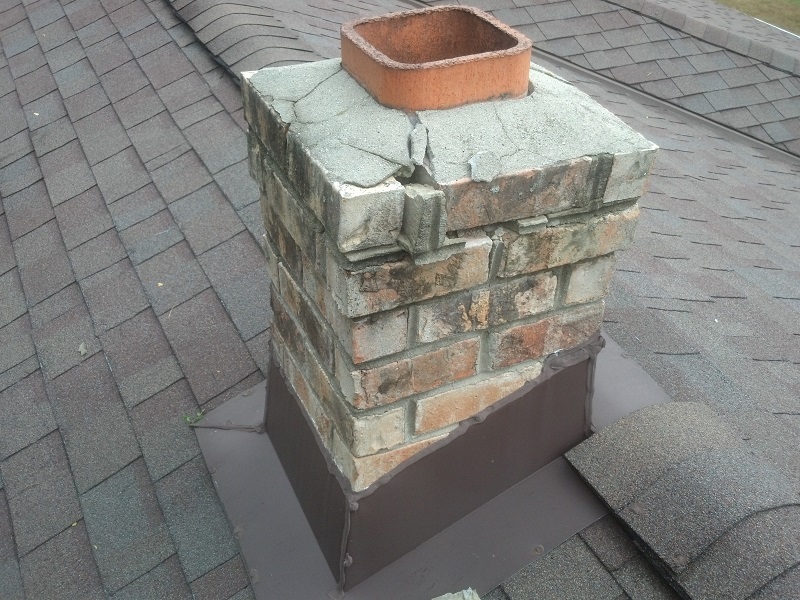 Leave projects like chimney repair to professionals and call Aces Home Services. Aces Home services have a team of highly skilled artisans who perform these restorations for such areas of your home as an interior brick wall or new fireplace. Not only can we add additional function to an area of your home, we can transform virtually any masonry or brickwork project into something of an eye popping and jaw dropping visual interest. Want to add some “wow factor” to a post-modern industrial space? Call Aces Home Service professionals, and while we are on your property ask us to show-off our famous trowel techniques. Our Aces Home Services team will awe and entertain you while we make your home beautiful, sturdy and hazard free. Nothing provides a room with a distinctive look and feel like a fireplace. Fireplaces have long been prized in homes as a romantic element, the perfect accent piece. The crackling embers of a fire in a fireplace have long captivated people on a cold night. In addition, to their romantic appeal, these room fixtures also have a long history. Long ago, people used fireplaces to heat their homes, provide light, and even to cook food. Today fireplaces are still important. The appearance of your fireplace can be changed. New facing materials, hearths, and mantels can be installed to give an updated look or to set a new decorating theme. In many cases, it may just need some repair to areas such as the firebox and or damper system. Dampers that do not function properly can be dangerous as well as cost you money in heat loss. Deteriorating and crumbling fireboxes do not reflect out as much heat and loose brick can fall out during a fire.